In 2015, Dr. Beth Pletcher, a pediatrician and associate professor specializing in genetics, was at the annual conference of the American Academy of Pediatrics in Washington D.C. when she heard two speakers that forever changed her work with medical students. 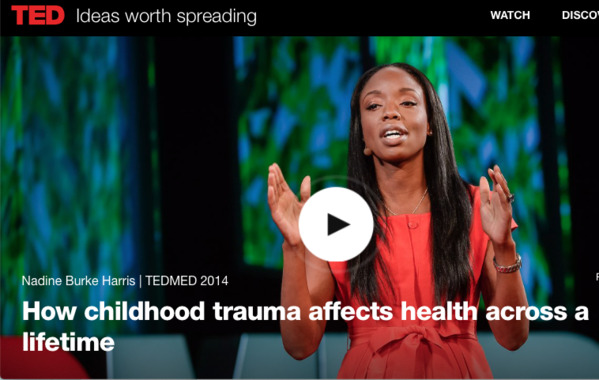 “I went to two talks on adverse childhood experiences (ACEs) that were so mind-boggling to me that I decided on my drive back to New Jersey that I had to do something about it,”says Pletcher, director of the Division of Clinical Genetics in the Department of Pediatrics and an associate professor in the Department of Pediatrics and the Department of Internal Medicine at Rutgers New Jersey Medical School. It was the first time she heard about the landmark CDC/ Kaiser Permanente Adverse Childhood Experiences Studythat ties 10 types of childhood adversity with adult onset of chronic disease, and how healthcare providers were screening for ACEs during patient exams. Pletcher’s resolve translated to a course for first-year medical students at Rutgers New Jersey Medical School that she and her colleagues began offering in Fall 2016. An article about the curricula, now in its third year, “Adverse Childhood Experiences: A Case-Based Workshop Introducing Medical Students to Trauma- Informed Care,”was recently posted in the MedEdPortal of The Journal of Teaching and Learning Resources. And it’s not just an elective. All first-year students in the Health Equity and Social Justice Program where Pletcher teaches are required to take the course. “I thought it was really critical that every doctor coming out of medical school has a good understanding about ACEs,” she says. To date, 535 first-year students have taken the course. Their feedback has helped guide Pletcher and colleagues teaching the class to modify and tweak it. For example, in the first iteration, they didn’t have much information about trauma-informed care, explains Pletcher. They’ve now woven more information into the class and she says, they’ll likely add more for the next term. After the most recent term, students gave high marks to many aspects of the curriculum, and said that the most productive learning part of the module was a small group discussion facilitated by faculty members that addressed ACEs in a hypothetical patient, according to the article. Students also said they wanted a deeper dive into how to include asking about ACEs during a patient visit, and how to involve health services across disciplines to include ACEs education in patient care. The class is one three-hour class that includes an examination of the strong associations between ACEs and negative adult health outcomes. For example, the curriculum shows that adults with an ACE score of 4 or more had a 4- to 12-times increased chance of “alcoholism, drug abuse, depression and suicide attempts,” “a 1.4 to 1.6 fold increase in physical inactivity and severe obesity,” and that an ACE score of 6 or more was associated with an average reduced life expectancy of 20 years compared to an ACE score of 0. Between the introductory lecture and the case review, students watch the Ted Talk delivered by ACEs science trailblazer Dr. Nadine Burke Harris, the founder of the San Francisco-based Center for Youth Wellness, and author of The Deepest Well: Healing the Long-term Effects of Childhood Adversity, which details how she integrated ACEs science into her pediatric practice and life. Burke Harris was recently named California’s Surgeon General. The small-group case discussion and analysis resonated the most for students, according to the article. “The small-group discussion example was incredibly effective in helping us work through a very real and potential patient we could all see in our practices in the future,” remarked one student. After reviewing ACE and resilience surveys completed by a hypothetical patient, students in the small-group discussions strategized about how to approach talking with the patient. In the latest iteration of the course, Pletcher expanded their ACE survey to integrate other ACEs from the Philadelphia Urban ACEs surveythat includes questions about racism, bullying, witnessing community violence and living in an unsafe neighborhood as well as having been in the foster care system. They’re also using the Devereux Adult Resilience Survey. 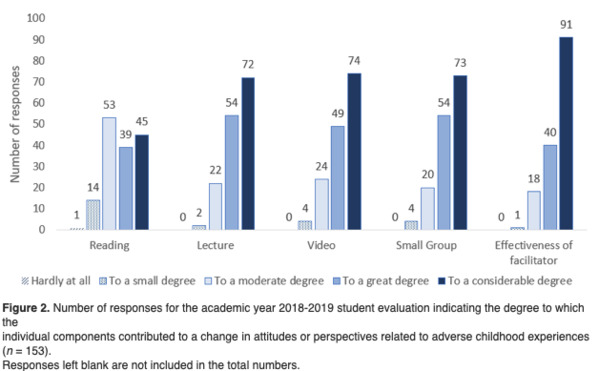 What was rated highest among students was the role of faculty members who served as facilitators asking questions and leading discussions about the hypothetical patient case in small groups, according to the article. Ninety-one students in the 2018-2019 year attributed the effectiveness of the facilitator in changing their attitudes or perspectives related to ACEs. To help get discussions started, facilitators from the faculty were provided a guide that encouraged them to talk to students about their own clinically relevant experiences. Pletcher told students in a group she facilitated about a patient who was scheduled for neurosurgery in whom she noticed an unusual affect and body language. Pletcher talked about her own ACE score, but said that students are not asked to fill out an ACE or resilience survey for the class because most of the time is spent in small groups. “It’s just very personal and might bring up issues that generate anxiety or put people on the spot,” she says. 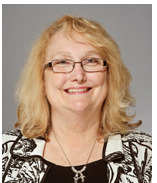 Of the curricula, Pletcher says that she and her colleagues will have a better sense of how it’s taken hold after the first-year students have completed their fourth year, including clinical practice.